This we’ve known since her debut album: Patty Griffin puts real feeling into singing the songs she writes. Downtown Church, comprised mostly of generations-old songs, with just two originals, was her chance to put her expressive gifts to the test. That the songs are religious in theme and origin only raises the bar; there’s more at stake in a flat or perfunctory performance. 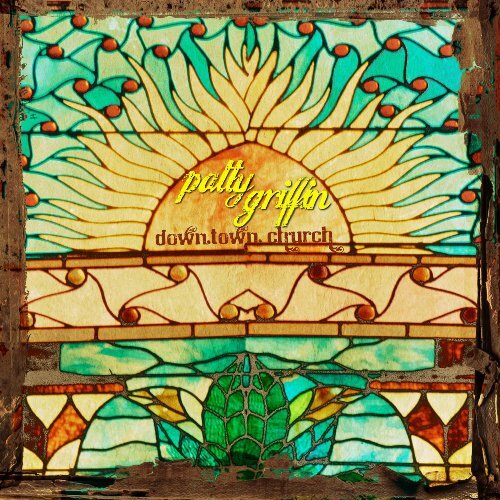 Griffin wisely enlisted guides familiar with the territory: among others, the gospel-singing McCrary sisters and Mike Farris, the spiritually-minded Julie Miller and, most importantly, her multi-talented husband Buddy Miller as producer. Recording in a vast, historical church sanctuary (which inspired the title), he captured a sound that’s as metaphysical as it is physical, percolating and reverent in turns. Whether or not she’d align herself with any of the traditions behind them, Griffin moves gracefully between white southern gospel hymns and black gospel and spirituals. She sings “Never Grow Old”—one of the former—with particularly tender, lyrical yearning. And when more vocal fire is called for, she brings that, too; she’s often put her voice to energetic, bodily use. Against the 3/4 sway of Sullivan Pugh’s “Waiting For My Child,” she draws herself up out of deep, near-despairing notes to make her plea with beat-anticipating fervor. The very next track she attacks a swinging version of Dorothy Love Coates’ “The Strange Man” with sass, spark and melismatic finesse. As for flat performances, Griffin doesn’t give a single one of those. What she does do is bring heart to the songs.